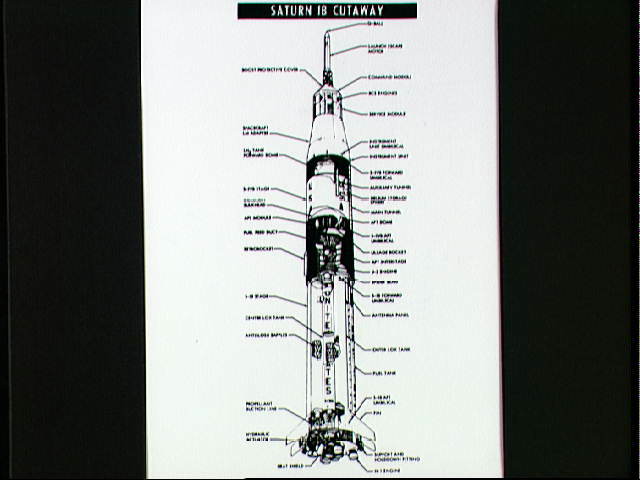 Artists drawing of a partial cutaway view of an Apollo/Saturn IB space vehicle in a launch configuration. Arrow point to various features and components of the vehicle. This drawing is representative of the Apollo 7 space vehicle.